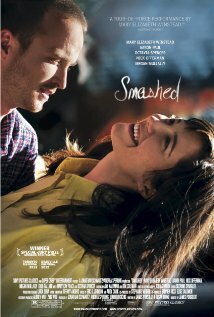 Smashed is a 2012 American comedy-drama film directed by James Ponsoldt, written by Ponsoldt and Susan Burke, and starring Mary Elizabeth Winstead and Aaron Paul. The film premiered at the 2012 Sundance Film Festival on January 22, 2012 and won the U.S. Dramatic Special Jury Prize for Excellence in Independent Film Producing. On February 5, the film was picked up by Sony Pictures Classics and on August 8, a release date of October 12, 2012 was set.